It’s tax season, and the tax filing deadline date is drawing close. I used to panic when I had to do my taxes, because I was worried about missing a deduction or paying more than I am supposed to, and anxiety filled me the entire season until my taxes were filed. Often after I file, I still wonder if I filed everything correctly, and if I could have gotten a refund if I had more knowledge. I recently tried reading a book about the latest tax reforms, and found myself feeling overwhelmed and confused, and even a bit scared that I would screw it all up. Enter H&R Block to hold my hand as I filed my taxes this year, amidst ever-changing tax laws I don’t understand and helping me go through all our paperwork to find everything we need to claim and deduct. In the past I’ve filed my taxes with our family CPA, who is excellent but doesn’t really have previous experience with freelance workers and bloggers. I’ve also filed them on my own online, which was basic and straightforward, but I did wonder whether there was anything I was missing. Having a knowledgeable professional who can answer all my questions, and go over everything step-by-step so I know we did it all properly, is pure peace of mind! I just don’t have to lose sleep about anything. We made an in-person appointment this year at the New Hyde Park H&R Block office, which was incredibly easy to do. 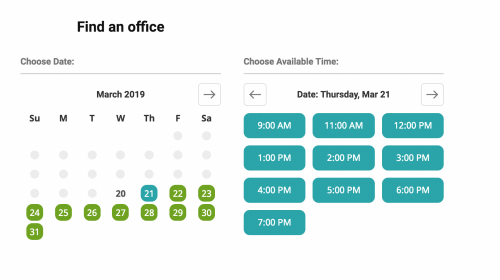 I figured as we draw closer to the April 15th deadline, I wouldn’t be able to find anyone to help, but H&R Block allows you to pick your location and appointment time online, and they have plenty of tax pros ready and willing to help. They even provided a checklist so I could come to my appointment prepared. 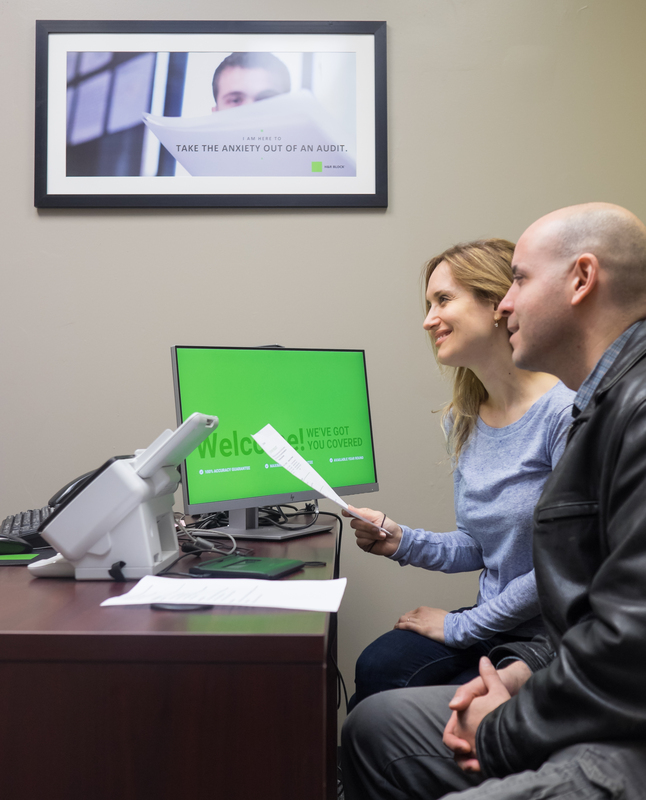 H&R Block also has the option to drop off your paperwork, if you don’t have time to walk through your return face-to-face with your tax pro. Or, now you can use Tax Pro Go and simply upload your tax forms through a secure link and the tax pro does the rest, all without ever leaving the comfort of my home! You can find out more about H&R Block’s services by visiting their website. You can learn your price before you file so there are no surprises, and it’s really easy to find an office near you and make an appointment. What is really awesome is that H&R Block can match you with a tax professional that has experience specific to your needs. I entered my zip code to find my closest location, answered some basic questions about my tax situation (ie: we are home owners, we contribute to charities, I’m self-employed, etc. ), and I was given a few options of tax professionals who have experience in these areas. I was able to view each tax specialist’s experience, their history and more, and pick someone I felt most comfortable with. As mentioned, I was sent a tax prep checklist (generated for me personally based on my online answers) to make sure I brought all my documents and everything I needed with me to my appointment. We arrived a little before our appointment time and our tax pro was ready to take us early. We chose her because she was a senior tax specialist and Block Certified. 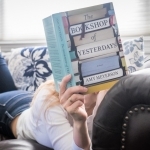 As I asked her about deductions specific to freelance work, a home business, and a few questions about 529 plans – since college planning for our boys is important to us- she was knowledgeable and patiently answered our questions. Our time with our tax pro made me feel so confident we didn’t miss any deductions and that everything was filed correctly, which feels so good! If you get a refund, H&R Block offers you a Maximum Refund Guaranteed. And, if you owe the IRS, they can help set up an IRS payment plan for you. They can also offer tax tips and actionable advice for better tax outcomes in the future. I’m self-employed, I own a home, and I participate in various programs with laws that vary from state to state. I needed help filing my taxes! 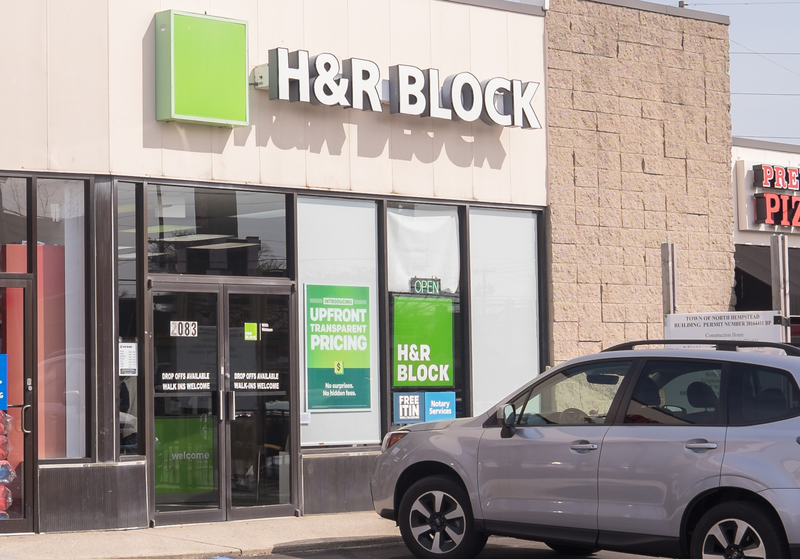 With more than 7,000 tax pros and 11,000 tax offices, nobody knows tax reform better than H&R Block. Sleep easy by letting the tax pros help you out! 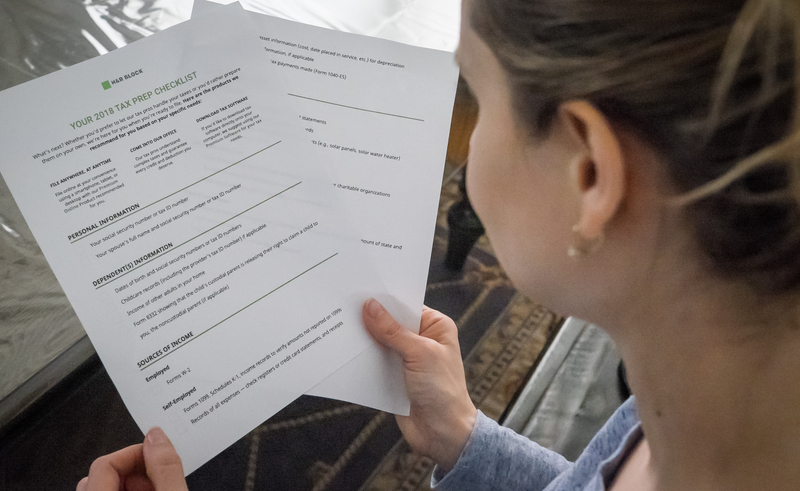 Get started and learn more about H&R Block’s in-office filing method here.